The hairdressing community used social media to unite on the project. Magic Scissors was featured in Creative Head and Hello!, and Southsea Lifestyle magazine (Southsea Directory back then) also ran a piece. A video on the project by vlogger Emily Canham got 300,000 views! From the sunny south coast, my first stop was the bright lights of London, where the journey started with two of my earliest hairdressing idols — Charles Worthington and Richard Ward. Then it was onto Errol Douglas in Knightsbridge, Mark Leeson in Nottingham, and the Millers in Edinburgh. There were highs and lows — meeting my heroes in a far-away city was a high, but the nine-hour drive was a low! Being in the salon of The Dorchester Hotel with Karren Brady whilst she got her hair done was a high — staying in the worst B&B in the world the night before was a low. I got to meet and watch most of my career idols perform a haircut in their own salons, and even the most famous and world-renowned hairdresser — Trevor Sorbie — used the magic Scissors. 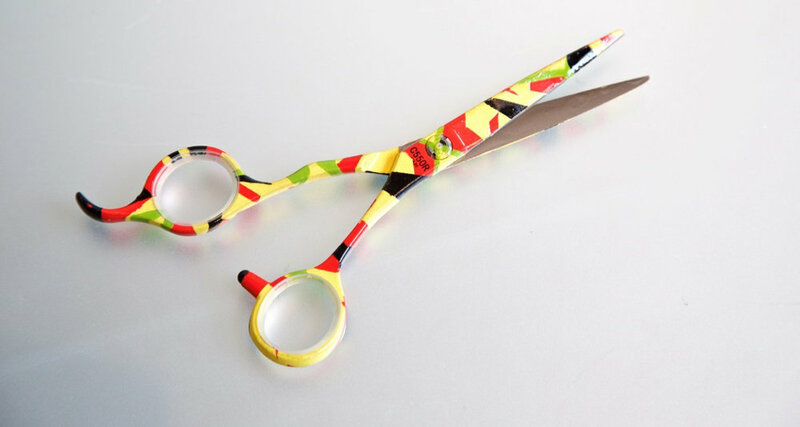 The scissors travelled from Salisbury to Scotland, and everywhere in between, totting up 3,000 miles and being used by no less than 38 hairdressers. Annet, aged 17, is one of the students helped through the Magic Scissors initiative. Orphaned at an early age and born with HIV, one can only begin to imagine how tough life has been for her. School was a struggle. She was so low she tried to commit suicide. With the help of all of the hairdressers who got involved, Magic Scissors raised enough to help 30 students like Annet. 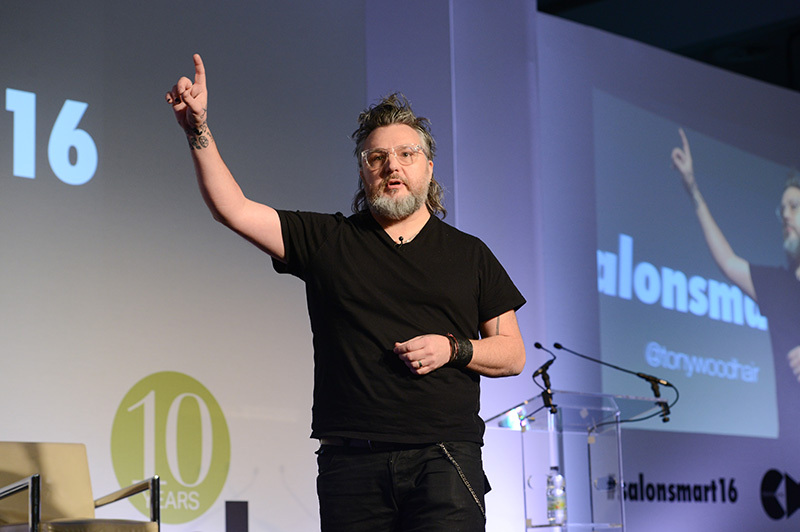 As a result of the connections Magic Scissors formed in the hairdressing industry, we were lucky enough to be able to speak at a large industry engagement in London about the initiative. I presented the talk, spreading word of the project and extending its influence even further. As well as strengthening my links within the wider hairdressing industry, the Magic Scissors project also had a positive affect closer to home. Tony Wood Hair is a salon known for its genuine care for customers, and so we recognise that there’s a certain level of corporate social responsibility to be seen as active in aiding others. Thus, talking about Magic Scissors through social media and word of mouth has reinforced and steeled this caring reputation. It also gives clients an interesting story to tell their friends when talking about where they got their hair done. Through Magic Scissors, we walked the walk to the talk we talk. 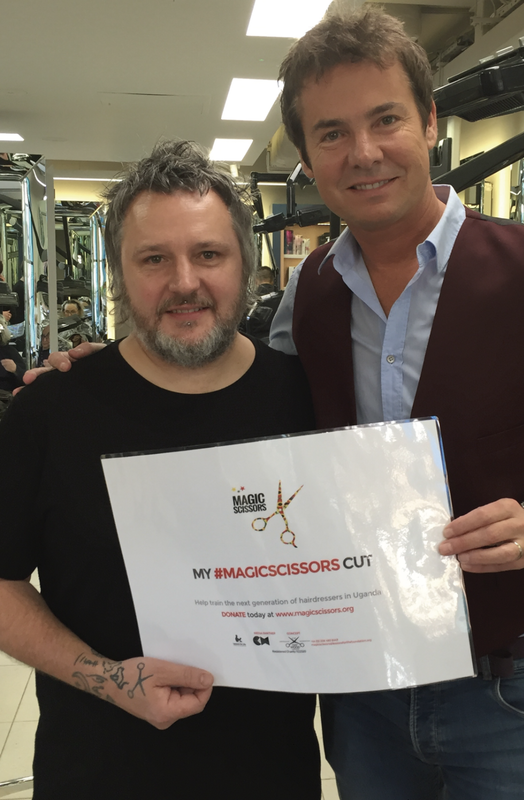 The opportunity for hairdressing industry giants across the nation, from the south coast right up through to Scotland, to unify under one common cause through the Magic Scissors initiative was truly astounding. At the same time, smaller independent hairdressers all over the UK have got involved, too. I met countless inspiring individuals during the venture.